KleenGuard Personal Protective Equipment (PPE) enables rather than inhibits – allowing for maximum productivity and safety for you and your employees. Kleenguard A80 Chemical Permeation & Liquid Jet Protection Coveralls are a must to help protect your team working around petrochemicals and hazardous materials / chemicals. They’re designed to move with you, offering protection in environments where contact with hazardous chemical vapors may be present. The Kleenguard A80 material is made of Saranex 23-P film, laminated to a durable fabric, which provides a soft, cloth-like feel against the skin. The liquid-resistant, extra-long zipper and taped, sealable storm flap and a seamless combine to provide more protection in the primary exposure area. This model features elastic wrists and ankles and a respirator-fit hood designed for compatibility with complementary PPE. The A80 coveralls feature Reflex design, which offers excellent fit and freedom of movement. 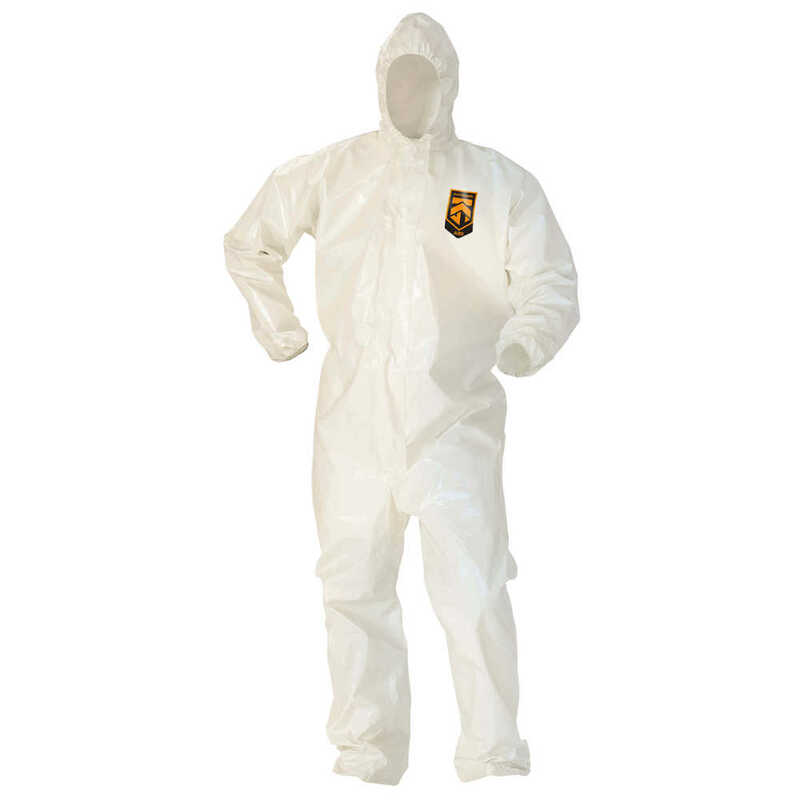 This PPE has undergone ASTM F1001 Penetration Testing and is ideal for use where workers may come into contact with hazardous chemical vapors such as chemical handling / mixing / cleanup, hazardous material handling and waste cleanup, petrochemicals, utilities and for industrial hazmat teams. Kleenguard A80 Chemical Permeation & Jet Liquid Particle Protection Coveralls are strong, so you know you can trust them to protect your workers. Making the right Personal Protection choice is difficult. Perform with distinction with KleenGuard Personal Protective Equipment (PPE).